When your job requires facing cold, blistering winter elements, you learn all about staying warm on the job site. Even in such a modern world, some workers are exposed to cold, rain, sleet, snow, wind, and all that mother nature has to offer. Luckily, advancement in technology and textiles make it easier than ever to stay warm when you work outside during winter. 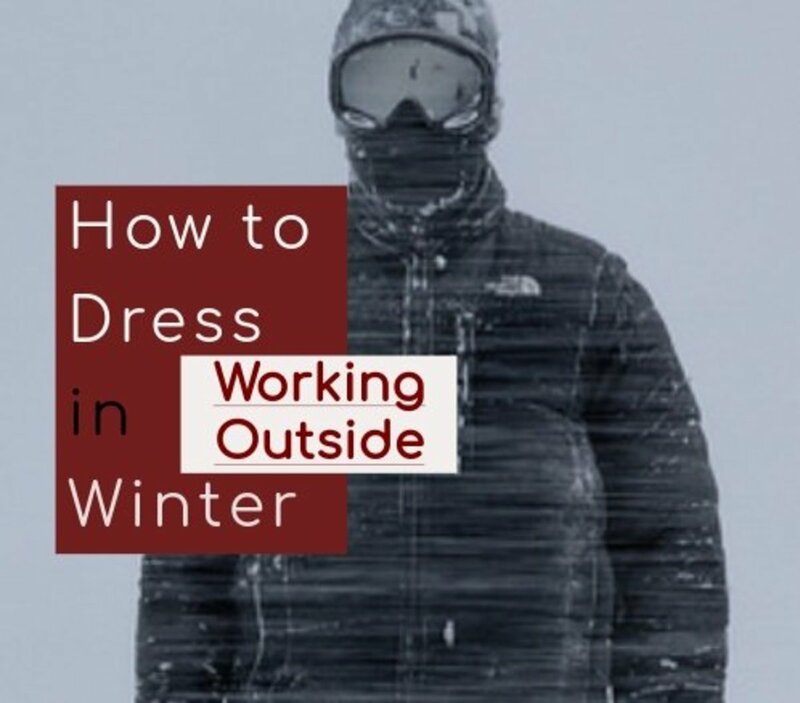 If you find yourself needing to know how to dress for outdoor work through cold winter months, it's time to learn to stay warm without heat. Protect yourself from sticker-shock, and think about winter work gear as an investment in keeping yourself comfortable and safe in the workplace. When you feel warm and dry, you will be able to get your job done without suffering and keep the money rolling in. Some employers provide online stores where employees can buy approved work gear, where other companies allow the worker to wear work apparel of their choosing. In all cases layer each body part and combine hand and foot warmers with techno, electronic work gear designed to help keep you warm. Here we will explore different options to keep your entire body warm, head to toe. But first here are some examples of who this guide may help. There are lots of different types of winter hats for men on the market. To keep your head warm in a cold weather job you need to consider more than just the top of the head. You need a hat, or set of hats that keep your ears, face and neck warm as well. You may also need to consider eye protection. The type of items you buy will depend on how much cold you face, whether there will be ice or snow, and if wind will be an issue (as it is for forklift drivers and outdoor construction workers). Use a heavyweight knit hat, such as a beanie, cabin hat, or watch hat for your base layer. If you face extreme cold, or below zero temperatures, then consider a beanie or ski mask with a flexible neck guard. Skier and snowboard facemasks are a great choice because they are wind and waterproof. Over your face mask or ski mask, wear a thick men's insulated winter hat. For below zero temps and high wind situations consider a windproof trapper hat with a mask. The best winter hat materials are cotton, wool, cashmere, and fleece. 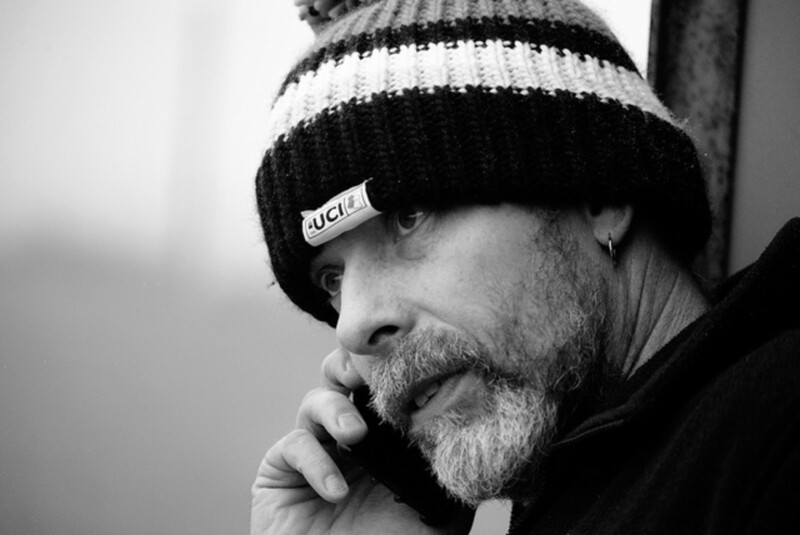 The best winter hat for bald or balding men whose jobs make them face the cold are thicker near the top. A wool or fleece hat will keep your head the warmest and protects against moisture. Choose a style, like a trapper hat, to prevent cool air from brazing the skin on your head. The best winter hat brands for outdoor cold weather work are Carhart, Cabelas, North Face, Maine Guide, Stormy Kromer Under Armour, and kbethos. Even with a ski or face mask, you may still need a scarf; it should be worn under gear, so loose ends don't get caught in machines or other industrial equipment. Scarfs should be tightly woven or made of materials such as fleece. It should have tapered ends with no loose strings hanging from the end. Keeping your arms and chest warm while you work will help regulate your body temperature and help you stay dry. The best way to keep your core and arms toasty is to dress in three layers. You will need a base layer to help reduce sweating and dampness, a mid layer, and an outer layer to keep below freezing temperatures and wind from making you suffer. There are hot packs and heated techno gear that can make working in the winter snow, sleet, rain, and wind more bearable. You may consider purchasing gear which comes with special pockets for hot packs or getting an electric-heated base layer. There are lots of ways to be comfy on the job with no heat. Read your employee handbook to find out which gear is approved, and learn about safety issues regarding work apparel. Buy your items before freezing temperatures hit. Make sure you still have full range of motion in your arms and torso when you choose your winter work clothing. HotHands and Vesture make heated packs made for the chest; some gear has special pockets for them to fit right into. Electric-heated thermals usually work off of battery packs and are designed to drive the pain of winter away. They are more expensive than other types of work garments and hot hands, but over time they save a lot of money and prevent a lot of suffering. The best brands of electric heated base layer and thermals are DZX, Creing, ActionHeat, ORORO, and Utuze. The layer closest to your skin, known as the base layer, should be something warm that wicks moisture (sweat) away from the skin to prevent cold from being damp. This will be your thermals or heated base layer, think about using heated underwear for men and women. The middle layer should be something warm that provides good insulation against the cold. This may be a thick cotton or synthetic shirt with a thick fleece, cotton or wool jacket. Or, you might go with a thick shirt and a pair of denim work overalls, such as the ones Carhartt makes, and possibly a thin jacket. The top layer should be something tick, warm, water resistant, and wind resistant. It should not restrict movement, and should have enough pockets for the things you need quick access to, such as your wallet or phone. If your job exposes you to the elements, then you need to learn to keep your hands warm without losing too much dexterity in your hands. This seems as if it's a challenge, but it's never been easier to stay warm. Hot packs for the hands are easy to use and easy to find online or in your local Walmart or hardware store. Heated electric glove technology is finally what we expected in the future. Don't you love when the future finally arrives? While they seem expensive, when you do the math, a good pair of electric gloves is cheaper over time than using nothing but hot packs. Most electric gloves come with rechargeable batteries. If you work a long day, you should get extra batteries to get you through the whole day. Check your employers manual for regulations concerning gloves. Layer two pairs of gloves. The first layer is thinner gloves, possibly without fingers. The second layer a thicker, wind and water resistant pair of gloves. Keep extra gloves in your car or at home in case you lose one. Base layer gloves can be liners, compression, or thermal gloves. Some are designed to be used while operating a touch screen. The best material for base layer gloves is wool, shell fabric, lycra, or fleece. These materials keep hands warm and absorb moisture and sweat. It's preferential to buy a design with a touch screen pointer finger. 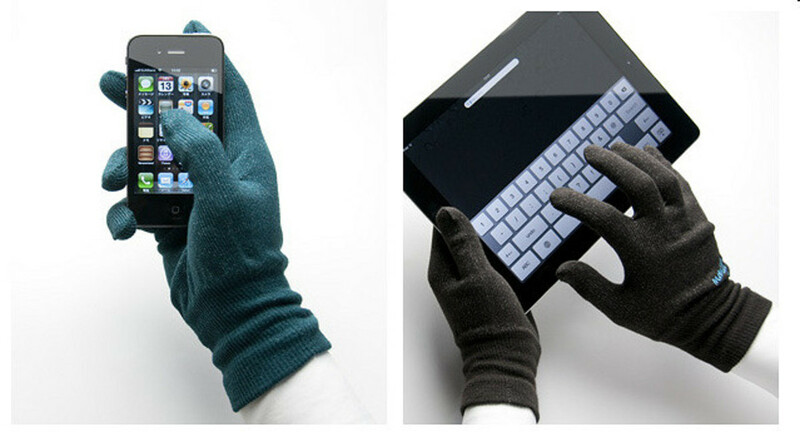 The outer layer should be thick gloves made of a material that keeps you warm but gives you dexterity with your fingers. HotHands gloves have pockets in the glove for your hot packs. If you don't want to go the hot pack route, then use a pair of heated electric gloves with touch screen pointer finger as your outer layer. Keep extra battery packs on you to keep from feeling the cold. Good brands of battery operated electric-heated gloves are Mobile Warming, North Face, MMlove, Action Heat, SHZONS, CTlite, Zanier, and Venture. Don't try to tough it out, and keep your hands warm at all times. Replace hot packs as soon as they cool. With electric gloves follow instructions. Many recommend turning it up at first, but then turning it down slightly to maintain heat. Keeping your legs warm while working in cold weather is a lot like keeping your torso warm. You will need to wear at least three layers, yet remember to make sure that you can move well enough to get your work done. The base layer should protect against wetness and keep you warm, your middle layer is insulation, and the top layer is for warmth and should be wind and water resistant. Workers from a decade ago would be jealous of the new gear that's simple to use and makes the cold fade away. You can pick between a heated thermal or underwear layer or a electric heated outer layer. If you wear denim work overalls, then it's probably best to use a heated base layer. There are not a lot of hot packs for the legs, or garments with hot pack pockets on the market, so this is one item to seriously consider going to heated apparel. Remember to check your workplace apparel guidelines before you buy anything. Invest in a good pair of thermal underwear or heated thermals to use as your base layer. The best materials for the base layer are polyester, Wool, Nylon, and cotton. Wear sweats or loose jeans for your mid layer. The best materials for the mid layer are wool, fleece, synthetic blend, and denim. Wear lined denim or wind breaking and waterproof pants for your outer layer. The outer layers role is to protect you against the elements but should be somewhat breathable. Don't underestimate the power of wind. Some jobs, like forklift drivers and construction workers, experience high winds when driving industrial vehicles. Make sure your outer layer compensates for motion-based wind as well as natural wind. Over your outer layer add any high visibility clothing you need to stay safe while working. Some companies require this. Never let your toes get numb when you are working. It's not just uncomfortable; it's is also unsafe. You need to keep your feet warm so you can maintain proper balance. How far you need to go depends on how cold the weather is that you work in. There are lots of options for keeping feet warm, and layering can be applied, too. One big concern with keeping feet warm is dealing with moisture. When your feet get wet, they will only feel colder and colder. A combination of heat packs or electric heated socks, moisture-wicking material for your socks, and a good pair of work boots will keep your feet plenty warm and plenty dry. This is an investment to keep the money coming in every month, and an investment in your comfort, safety, and sanity. Start by Checking Rules regarding footwear in your employee handbook. Double layer your socks. The first layer should be a thin layer that is good at absorbing moisture, and the second layer should be insulated and protect you from cold. The inner layer of socks may be compression or designed with wool or cotton padding in high sweat zones. The outer sock should also be a wicking sock made from wool or cotton, or a pair of electric-heated socks with a rechargeable battery. Good brands of heated electric socks are ActionHeat, Field and Stream, Greensha, Thermic Power socks, and Firstgear. Instead of electric socks, use heated feet and toe warmers to keep feet warm. For the feet, it's best to buy the packs that stay warm for 8 to 10 hours. You do not want shoes made of breathable material when working outside in cold, wet conditions. Leather work boots and other non-breathable materials will keep your feet warmer. When working in below freezing or below zero temperatures, wear insulated and waterproof work boots. 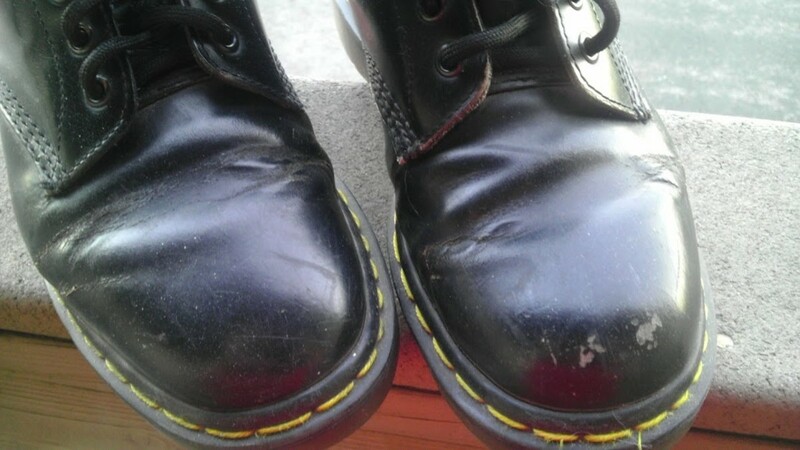 Replace them at the first sign of wear and tear. The best brands of work boots for winter weather are Timberland, Keen, Carhartt, Chippewa, Wolverine, and Under Armor. If you work in areas prone to cold rain, sleet, and snow, then you may want to consider getting a pair of men's or women's waterproof overshoes to keep your feet from getting wet.